Mrs. Becker teaches orchestra at North Woods International (grades 4 & 5) and Logan Middle School (grades 6-8). 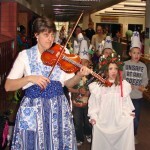 She also leads the River City Strings, and extra-curricular fiddle group that performs throughout the community. 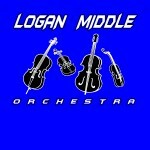 Northwoods students will be receiving sign up slips for orchestra on Thursday, Sept. 4th. These forms are due back by Friday, September 12th. Lessons will begin on Thursday, September 18th (Day 1) for 5th grade and Monday, September 22nd (Day 3) for 4th grade. Orchestra will begin at recess the following Day 1 and 3. 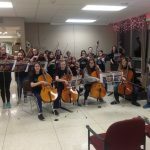 Fifth Grade students will have their first performance at Logan Middle School on Monday, December 8th at 7:00 P.M.
Fourth Grade string students will have an informal first performance in the LGI tentatively set for Monday, December 15th.